LinkNYCFree WiFi is coming to the city in the form of Links. By the end of next year, New Yorkers will be able to access free, fast public Wi-Fi across all five boroughs. Links are hubs for free Wi-Fi that run at up to gigabit speeds, and they offer a bunch of other services, including free phone calls within the U.S., access to 311 and 911, a free charging station for your phone, and a touchscreen tablet interface so users can access directions and city services. Links will also serve as digital displays for advertising, and they’re expected to generate more than $US500 million in revenue for New York City over the next 12 years. Building the service won’t cost taxpayers anything. 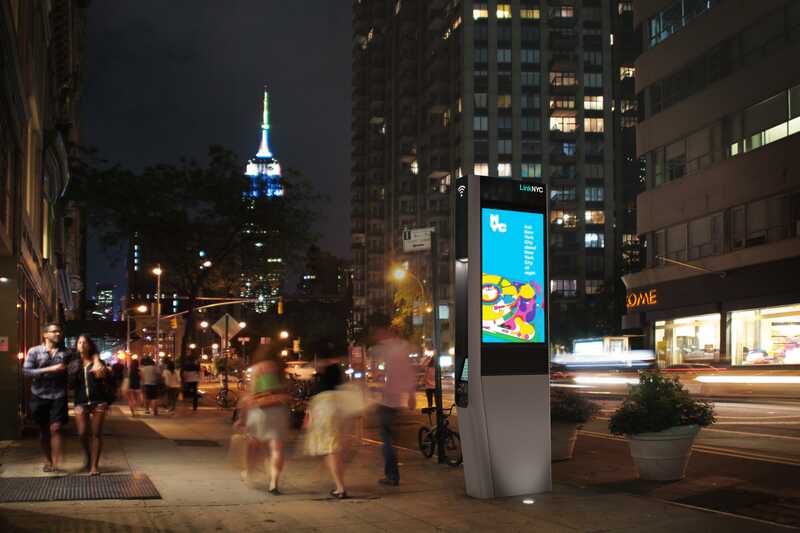 The five-borough LinkNYC plan will be funded through advertising revenue. LinkNYC will install up to 10,000 Links. Thousands of those Links will have free gigabit WiFi, which is more than 100 times faster than average municipal Wi-Fi speeds. “LinkNYC is a first-of-its-kind communications network that will bring the fastest available municipal Wi-Fi to millions of New Yorkers and visitors,” according to a press release from CityBridge and LinkNYC. The project is the result of a partnership between the NYC Mayor’s Office of Technology and Innovation, the Department of Information Technology and Telecommunications, and a New York-based group called CityBridge. Mobile tech giant Qualcomm will serve as CityBridge’s technology advisor. Titan, the outdoor media company that in October quietly installed and later removed 500 beacons in pay phone booths throughout the city, will oversee LinkNYC’s advertising program. Work on the LinkNYC network will begin in 2015. The first Link structures will be operational by the end of 2015.